The Acorns Nursery School is a small setting owned by a charity which originally opened in 1984. It operates from a converted house situated in a residential area of Calcot in Berkshire. Children have access to the four large rooms on the ground floor, a patio for ride on toys, and a large enclosed garden. Our unique "home from home" setting is very beneficial for young children, who enjoy the variety and "cosiness" of our premises. A maximum of 24 children (for each morning and afternoon session) between 2 years old and 5 years old may attend at any one time. The nursery opens five days a week from 9.15 am to 4pm during term time only and offers sessional care. 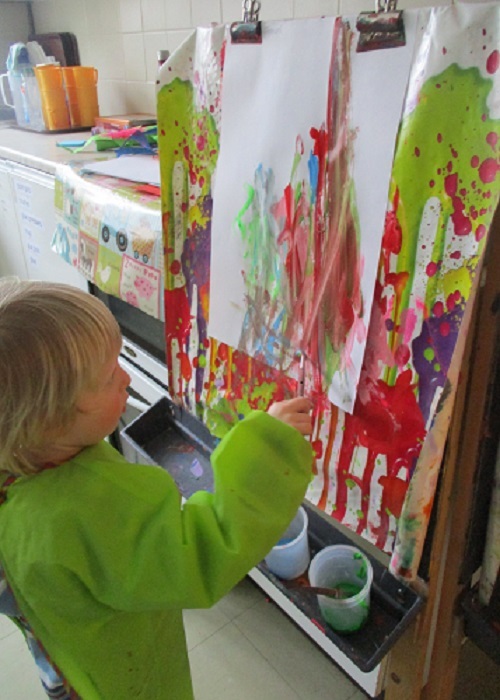 We enjoy creating a caring and creative environment where learning and fun go hand in hand! One of our aims is to establish good relationships with both the children, and their families and carers. We have often been able to give help and advice to parents and carers when there has been a need. Acorns holds open afternoons regularly for interested families to join us for an afternoon of play and fun. We also give talks for parents about subjects such as, the importance of Nursery Rhymes, how to prepare your child for school and explaining what we do at Nursery on a daily basis. 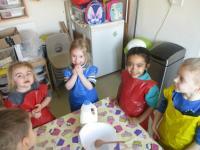 Acorns Nursery school welcomes children from the local community, and all surrounding areas. 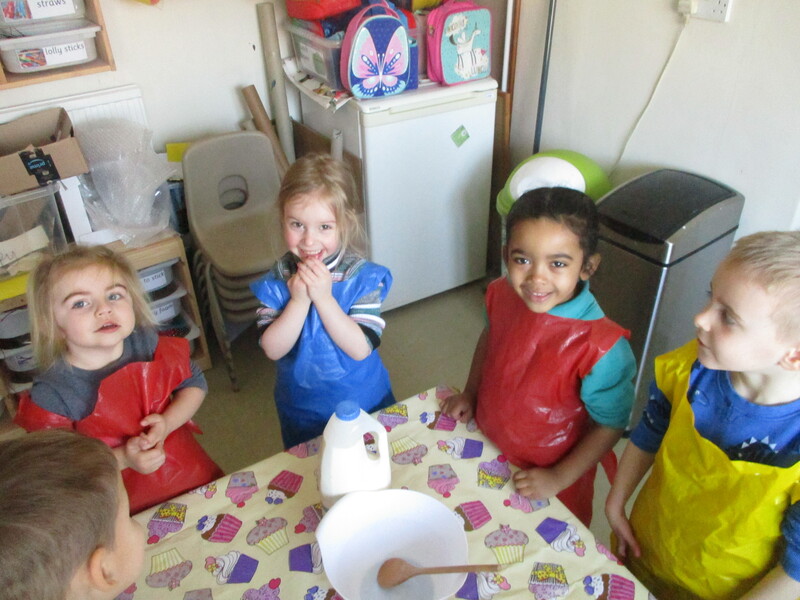 Acorns Nursery School has a Christian ethos (whilst also welcoming other faiths) and values good manners and positive social interaction and behaviour. Our staff are always available to talk to parents at drop off, and pick up times. 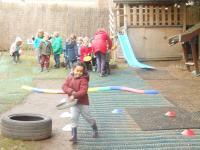 Our facebook site shows regular photos and updates of what we have been doing that week at Nursery. The house Acorns Nursery school is in has been specially adapted for use as a preschool with child sized toilets and wash basins. It is a "home from home"for children with separate rooms so it helps children when developing language skills as it is not noisy. Children are able to move from one room to another as they wish. Children settle into Acorns readily as the environment is so similar to what they are used to. Outside we have a Wendy house, mud kitchen, a large climbing frame, a covered area so that we can play outside whatever the weather. The garden is large with plenty of scope for play, we also have a patio area for bikes, scooters and ride on toys! £6.50 per hour accessed over the 15 or 30 hrs funding. Acorns Nursery School is unique in having 3 fully qualified primary school teachers and 4 fully qualified and experienced Nursery Nurses on our staff. All of our staff have had their own children so understand how precious each individual child is. We seek to enable each child to develop their potential and to have a happy and successful time during their attendance at Acorns. We have been able to help children who have had to leave other early years settings owing to various difficulties to enjoy their time with us and move on to school with success. Parents have given us testimonials as to how happy they, and their child have been during their time with us, and that they would always recommend us to their friends and neighbours. We have developed positive relationships with many local schools including - Calcot Primary school, Birch Copse Primary school, St Paul's Primary School, Park Lane Primary school, Downsway Primary, Westwood Farm Primary school and Englefield Primary School. 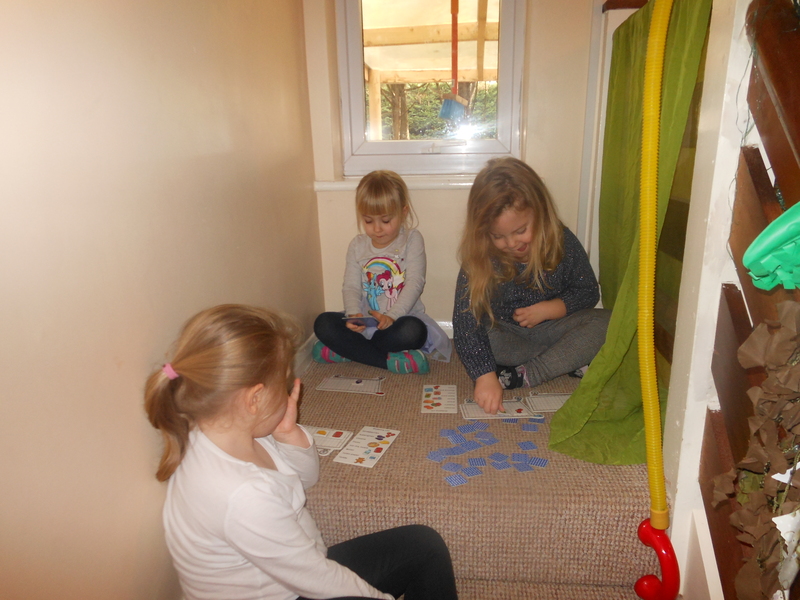 Teachers regularly comment on how well Acorns Nursery School make the transition to learning at school. Aspergers, speech problems, ADHD, Cerebral palsy. We have a Christian ethos but have welcomed children from a variety of faith and cultural backgrounds to our nursery. 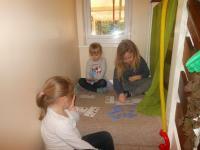 We work in co-operation with local childminders in order to provide wrap around care. The Acorns Nursery School is a privately owned provision which opened in 1984. It operates from domestic premises situated in a residential area of Calcot in Berkshire. Children have access to the ground floor and a large enclosed garden. A maximum of 24 children between two and five years of age may attend at any one time. The nursery opens five days a week during term time only and offers sessional care. The nursery school serves families from the local community and surrounding areas. Acorns Nursery School has a Christian ethos (whilst also welcoming other faiths) and values good manners and positive social interaction and behaviour. • Careful observation of each child and noting their behaviour, speech, play and interaction with others. • Referring to the average developmental stages for their age and noting any differences. • Discussion with parents both by appointment half termly and as concerns arise. • Co-operation with other professionals e.g. health visitor, speech therapist, etc. • Staff give parents regular updates regarding their child’s progress in different areas. • Acorns will advise parents regarding individual targets which have been set for their child. 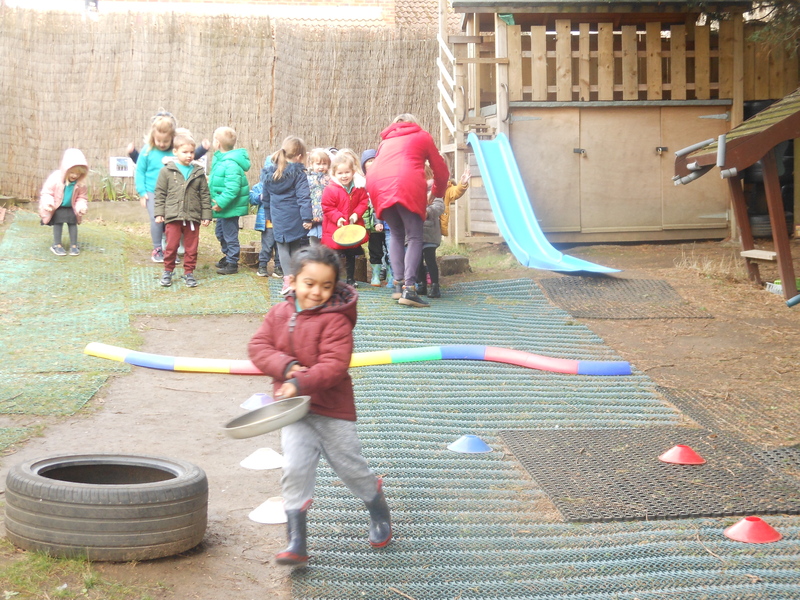 Acorns Nursery school has experienced staff who are proficient in adapting the EYFS curriculum to meet the needs of individual children. We will set smaller steps for children in areas of difficulty e.g. speech and language. We focus on building up the child’s vocabulary and understanding. We differentiate the curriculum to cater for the needs of the individual child and set targets accordingly for that individual. • visual timetables (pictures which show what activities are happening when). • photos and written signs for different toys and activities. • simple hand gestures and signs. • social stories (a story which features the child and a situation they may find difficult, with strategies to help them cope). • PECS : A system designed to help children who have problems with spoken language. • Regular routines which are adhered to. • Simple instructions are given to children as required. • Health professional support is also sought to cater for any medical needs. • Small “nurture” groups for children to work with adults. • Modelling social skills, positive behaviour and clear communication for children to copy. 1:1 support (an adult who works on an individual basis with a child). Referrals can be made to other professional bodies. Acorns staff are experienced in working with various specialists where necessary. SAPP (Support and Achievement Play Plan) will be written in consultation with parents. Physical aids, special toys can be provided as appropriate. Special needs children work in “nurture” groups with an adult and other children. 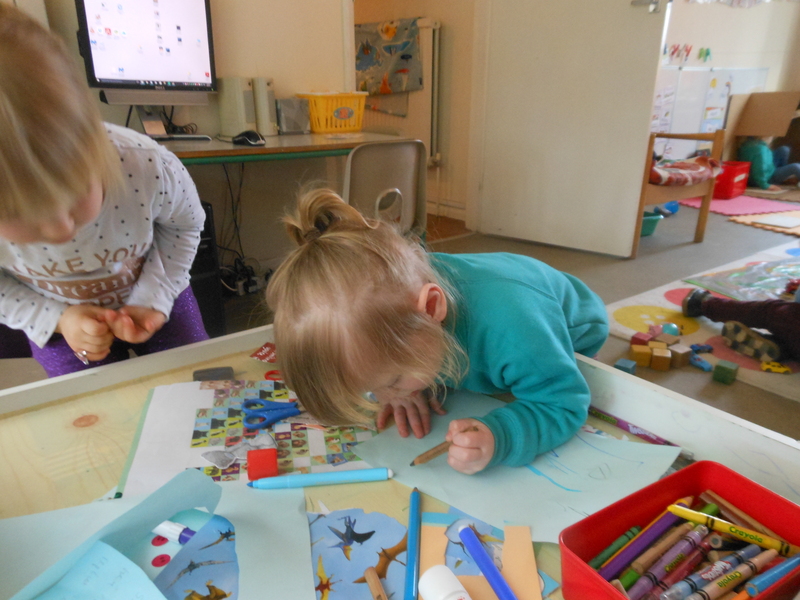 Acorns Nursery has a higher staff to child ratio than many other settings. Our staff are very experienced and qualified to a high level. • Ongoing observations and individual progress records for each child. • Programmes and targets tailored to the individual child are reviewed in weekly staff meetings with all staff. • Consultations with other professionals where appropriate. • Regular updates with parents. • Regular reviews of each child’s progress. • 1:1 support for SEND children means an adult is available to provide additional help when needed. • The Nursery provides physical aids, pictorial signs, behaviour support, visual clues and SMART (small, measurable and achievable) targets. • Risk assessments of trip locations are carried out to make sure there is provision for children with additional needs/SEN/mobility issues. Acorns Nursery is situated in a private home but has a wheelchair-accessible toilet. • Supported visits where nursery staff accompany the children on visits to the new setting. • Visits by the new teachers to meet the child at Acorns nursery. • Visual record, i.e. photos of the new setting and staff which can be used to talk through the move to the new setting with the child. • Additional visits can be arranged if needed. • Meetings can be held including parents, Acorns staff and staff from the new setting. to consult in detail about the child’s needs. Weekly meetings where all staff review the progress individual children are making measured against their targets. Ongoing discussions with parents about their child and seeking their views. Discussions with other professionals involved to assess progress. SMART targets set are regularly updated and amended when needed. Acorns has often received positive feedback from other professionals concerning the work done with SEND children. Parents and carers are welcome to view the setting. Informal chats at drop off/pick up of children. Letters/emails/phone calls are received to talk through any positive or negative issues. We have a complaints policy which is detailed in our policy statement. There is an accident and incident book where any concerns can be recorded. Nursery has always been delighted to receive many letters and cards of thanks when children leave or transfer to new settings!